Create spectacular ­images – even from imperfect shots! Photo perfection doesn’t stop after you capture an image. Image specialists (and the rest of us) optimize their pictures in Photoshop before sharing/posting these creations. With this course, you can gain professional-level Photoshop Elements skills and impress your audience with top-quality images. Whether you’re an entry-level photographer, an experienced amateur, or a professional photo editor, you need to know about Photoshop Elements 2018. As a beginner, you’ll love this software package, which contains many features of the professional version – but with a simpler interface and reduced cost. As a professional, you need to understand this compact version of Photoshop when coaching clients and instructing students. In this course, you’ll start from the very beginning – you don’t need any previous Photoshop knowledge. You’ll learn how to download the most recent version of this powerful software package and get up-and-running in a flash. Our experienced instructor will explain the basic and advanced features of Photoshop Elements 2018 in simple, jargon-free language. You’ll enjoy 125 video lessons which span over 14 hours of beginner-to-advanced content. This course includes confidence-building exercise files and all the sample photos the instructor uses in the course. Follow the tutorials in this course to master the fundamentals of Photoshop Images 2018. You’ll learn how to use color swatches, adjust lighting levels, and remove red-eye. You’ll learn to work with layers, replace colors, and create stunning black-and-white versions of your images. With the practical tips and tricks in this course, you can quickly edit images and add artistic touches. With Photoshop 2018, you can easily express your artistic vision and creativity. You’ll learn hassle-free techniques for organizing pictures by importing them into a centralized catalog. With photo tags and keywords, you can easily create photo albums for easy access and archiving. You’re just a few clicks away from sharing these creations with your family, friends, and colleagues. Make the most of your magical memories – optimize your images with Photoshop 2018! If you are unsatisfied with your purchase, contact us in the first 30 days and we will give you a prompt and full refund. After purchasing a course, you have unlimited access to this course for as long as you like - across any and all devices you own. Active memberships have access to all courses while they membership is active. We offer Certificates of Completion for courses that offer an online quiz (currently over 80% of our courses). The Certificates of Completion are offered as part of the online test/quiz, which accompanies the course. You will need a passing grade of 70% in order to receive a Certificate. The quizzes are based solely on course content. 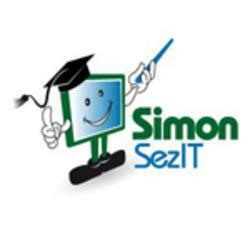 We started our company in 2008 with our first course for Excel 2007. Since that time, our company has published over 80 courses, with tens of thousands of satisfied customers in over 180 countries.